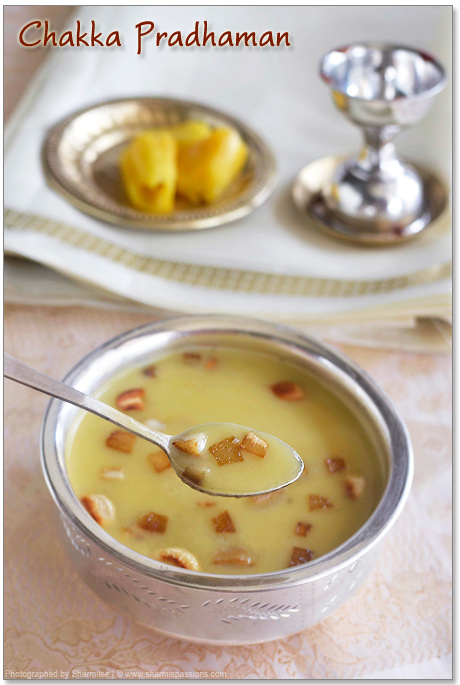 Chakka Pradhaman is a traditional payasam or pudding of Kerala made with jackfruit. Usually this chakka pradhaman is prepared using chakka varatti (jack fruit jam) but I’ve done this with fresh jackfruit as I didnt get chakka varatti here. Pradhaman basically is payasam prepared with coconut milk, except pradhamans like Palada Pradhaman which is made with dairy milk. Pressure cook jackfruit with immersing level water(keep it less say 2 tbsp) upto 2 whistles in medium flame or until soft. Cool down, drain water then grind to a fine paste, set aside. Heat 1 tsp ghee in a pan and add coconut bits and cashews , fry till golden brown, set aside. Mix jaggery with 1/4 cup water and break the lumps formed, strain(to remove impurities)and heat it up for 5mins until it bubbles(syrup consistency need not be checked). 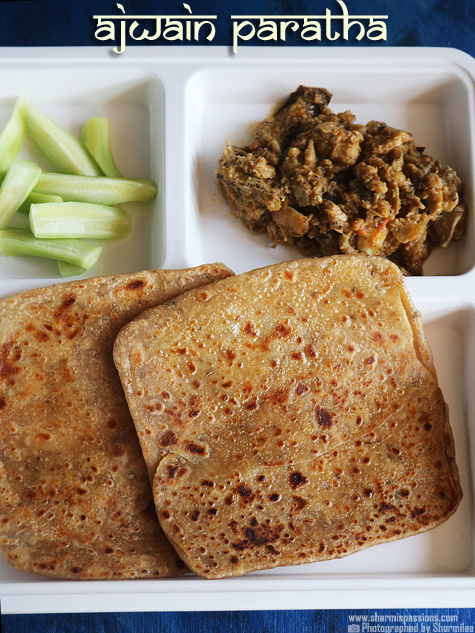 Add the jackfruit paste and mix until is evenly coated with jaggery. Let it become little thick, add remaining ghee then add coconut milk and give a quick stir. Dont let it boil for long after coconut milk is added as it will start to separate. So when it is about to boil switch if off and then add fried cashews, coconut bits, cardamom powder and give a stir. I reserved few cashews and coconut bits for garnishing while serving. Serve it warm or cold with nuts and coconut bits. I love it cold! You can substitute coconut milk with dairy milk or use half and half too but coconut milk gives a unique flavour to this pradhaman. Coconut bits gives a nice crunchness to the pradhaman. 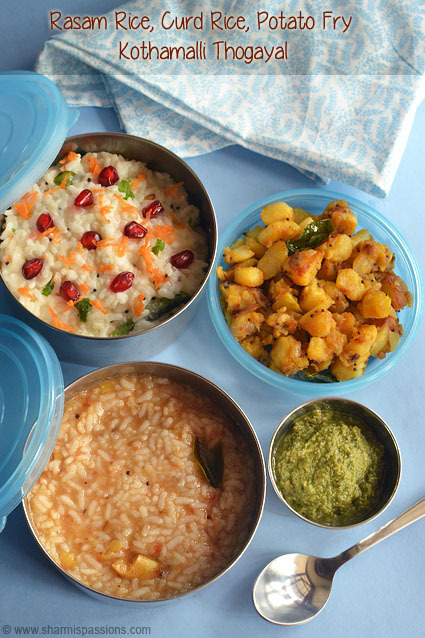 Take care not to boil after coconut milk is added as the pradhaman will start to separate. 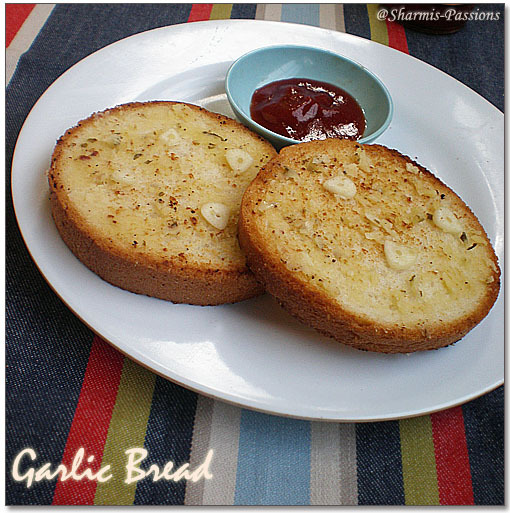 Add more ghee(say 1 tbsp) if you prefer a rich pradhaman. Never tried any payasam with jack fruit and coconut milk. Very new to me 🙂 thanks for sharing and Happy Onam to you and your family! 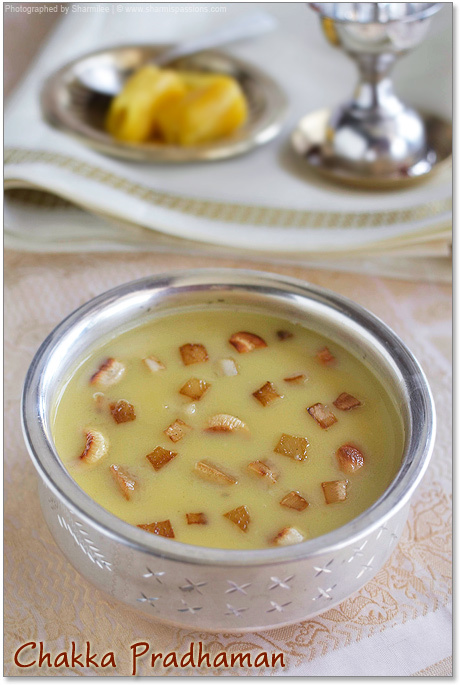 I love this flavorful payasam. nice shot. Creamy and delicious payasam…I made it with chakka varatti and had some left..so was planing to make it for onam…but hus told that we will make white colored payasam…Love the clicks.. 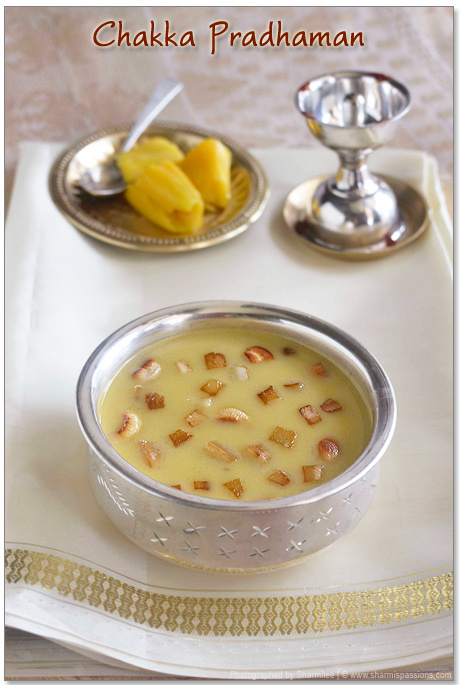 This is my most favorite payasam! love the fried coconuts in it! 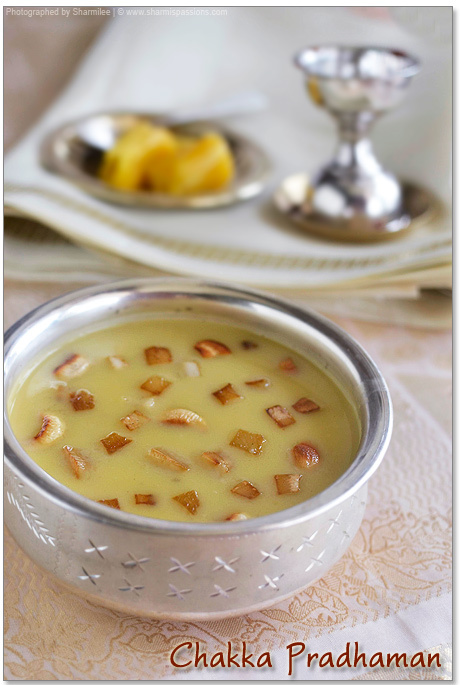 Yummy and tempting payasam recipe…looks delicious. 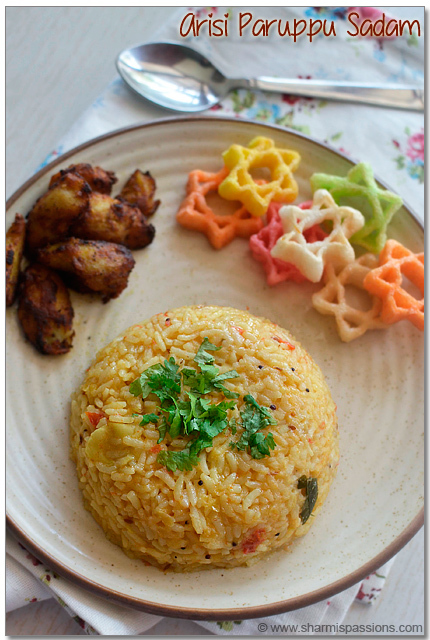 Hai ur recipe looks wow.i m also in coimbatore.jus tell me where did u get d jackfruit. @Aparna : I got in Pazhamudir Nilayam, RS Puram. 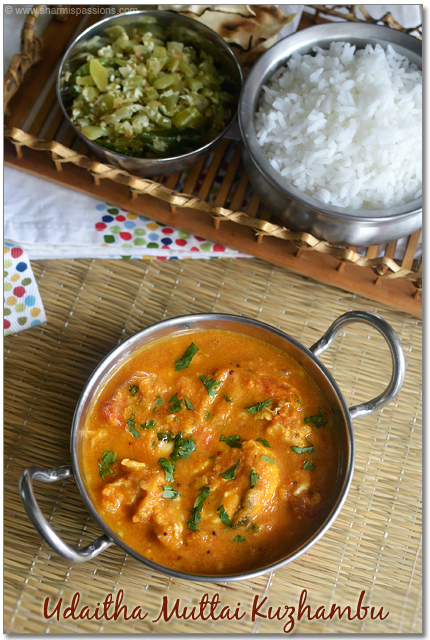 Inviting and super delicious pradhaman, wish to have a bowl of rite now. It must be very tasty! 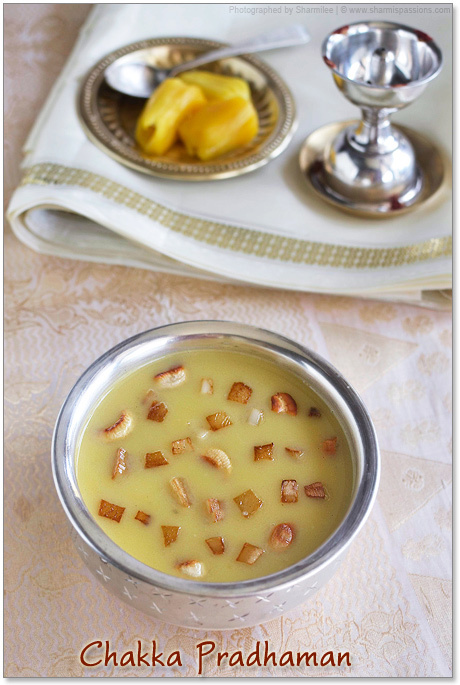 Creamy and delicious payasam,love it. Nicely clicked !! Never tasted would love too try it ,if I have the luck of getting jack fruit here. 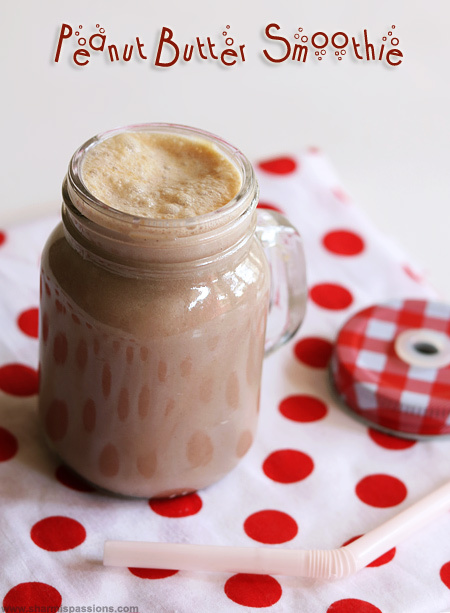 can we substitute coconut mix powder for coconut milk?